Sports Illustrated's Tom "Mythbuster" Verducci says that the so-called "gyroball" allegedly thrown by Japanese pitcher Daisuke Matsuzaka is not a new pitch but just a wicked changeup. "I had y'all fooled though, didn't I." Here is a yummy-sounding recipe for pan-seared salmon with green tea rice. Of course, you can also make green tea rice by itself, which boiled down to its essence (pun intended) involves simply adding loose-leaf green tea to rice before steaming. Researchers at UCLA have found that green tea may fight lung cancer. The mechanism by which green tea makes the cancer cells stick together most likely has to do with proteins: Some compound—or combination of compounds—in the green tea changed a critical protein on the cancer cells' surface, making them stick together. Although this study does not prove that green tea prevents lung cancer, it does indicate that further research is warranted. This report also brings up an important point about green tea extracts. Extracts are usually made to isolate specific compounds, such as the well-known antioxidant EGCG. However, the extract-making process may leave out compounds that are unknown today but which may someday be shown to have amazing health benefits. The moral of this story, grasshopper, is Never second-guess Mother Nature. Besides, by drinking brewed green tea, you're also hydrating your body. And brewed green tea tastes better than any pill! So drink freshly brewed green tea—because you never know what you might be missing. A magnitude-6.9 earthquake struck Ishikawa Prefecture, Japan, on Sunday morning (Japan time). Some of the damage caused in Wajima, Japan. [T]he Shiraore is tasting great, I'm consciously/unconsciously brewing it right. I always wanted one of those small infrared thermometers for cooking and brewing tea. I'm glad you like the Shiraore. It's very different from ordinary green teas. For instance, today I accidentally let a batch of Shiraore brew too long -- perhaps 15 or 20 minutes. However, where other green teas might taste very bitter or otherwise unpleasant, the Shiraore tasted great -- not too bitter, thick and rich, but not overly grassy. It's an amazing tea. An infrared thermometer sounds interesting, but my personal philosophy is that brewing tea is an art, not a science. My overarching rule is Keep It Simple. In other words, we should train ourselves not to rely on thermometers or timers and instead cultivate the ability to intuitively know, for instance, how long to let boiled water stand before pouring into your mug or teapot, and how long to let the tea brew. For instance, my goof-up in letting the Shiraore overbrew today is all part of my training not to forget a cup of brewing tea! Thanks again for your feedback, and please don't hesitate to drop me a line again if you have any other comments or suggestions. As for that brain training, although I eschew watches and timers as a way to remember my brewing tea, I have learned one trick to reduce my chances of forgetting: placing the brewing tea within my field of vision, as opposed to behind me, as I did today. Nissan took Suzuki's supersmall Alto and tricked it out into the supercute Pino. Neither the Pino nor the Suzuki Alto are available in the U.S.—which is probably a good thing, because the behemoths on the road here could run over one of those things and not even notice the bump. A professor at Japan's Hamamatsu University has developed a way to make gyoza (potstickers) fortified with green tea catechins. These green-tea potstickers aren't on grocers' shelves yet, but the professor plans to commercialize the technique. Maybe these green-tea potstickers will be ready in time for St. Patty's Day next year. The BBC's "Health" site has a relaxation page that includes a "desktop relaxation routine"—a six-minute audio file in which a deep-voiced narrator talks you through a meditation-like routine. And of course, the calming effect of this routine can be enhanced with a nice, hot cup of aromatic green tea. Just because you can't get away from your desk doesn't mean you can't relax there. Sorry, ladies. They're only naked from the waist up. The photo below is from the Hadaka Matsuri (literally "Naked Festival") in Inazawa, Aichi Prefecture. The guys are all jostling to touch a holy man said to bestow good luck and drive away evil spirits. The "Naked Festival" in full sway in Aichi Prefecture, Japan. 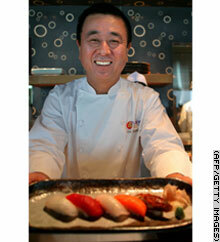 Although one of the world's most famous sushi chefs today, back in 1987 Nobu Matsuhisa was deep in debt after his first restaurant burned down the weekened it opened in Anchorage, Alaska. That was his low point. It was all "uphill" from there. This goes to show, grasshopper, that it is the uphill climb that leads to the top of the mountain. Life as part of Japan's royal family is supposedly a stressful, suffocating gilded cage. I'll tell you what: I'll try it out for a couple of years so I can give a firsthand account. "Think this is easy? Well then you try smiling and being pleasant all day." Dr. Miriam Cummings, a dermatologist practicing in Scottsdale, Arizona, says that green tea "is a wonderful thing for the skin." Adds the good doctor: "[Green tea] stops DNA from being damaged. It stops the sun from burning the skin; so in a perfect world it's the perfect thing to use on your skin." Erica Wald, a registered dietician at the University of Michigan Health System, says, "Green foods across the board are healthy in terms of their vitamin, mineral, water and antioxidant content, and St Patrick's Day is the perfect time to think about how you can incorporate more of them into your diet." » Drink tea -- green tea. If you like to drink tea, consider choosing green tea instead of black, oolong or other darker teas. Green tea - next to white tea - packs the biggest punch when it comes to antioxidants. It also contains flavonoids, a class of naturally occurring plant compounds that function as antioxidants that are good for the heart, Wald says. The town of Gokase in Miyazaki Prefecture, Japan, has an interesting "town revitalization" program in which applicants from not-so-nearby Fukuoka Prefecture spend a few nights in the homes of residents. Why Fukuoka? Probably because it's the most industrialized, urbanized prefecture on the island and is therefore presumed to have a lot of monied young people eager to escape the big city for a little peace and quiet in the countryside. I say "probably" because I learned about the program from an acquaintance who participated. She went to Gokase with a girlfriend and described it as the best time she's had in a long time. Participants in the program—which is completely free—spend the daylight hours shopping, strolling, or taking in the town's hot springs. At night, they return to their host family for dinner and perhaps even a trip to a karaoke bar if they're lucky (or unlucky, depending on your opinion of karaoke). The program is open to any resident of Fukuoka, provided he or she is under 30 years of age. That's because the goal is to attract young people in the hope that they'll not only spend their money liberally (as young folks are known to do) and maybe even decide to live there—like most small rural towns in Japan, Gokase's population is gradually declining, as locals strike out to seek their fortune in the big city. Another reason the town's population is shrinking is that wives are hard to come by for eldest sons who take over the family farm or shop (and responsibility for caring for aging Mom and Dad). This may explain why Gokase officials place special emphasis on advertising their stay-for-free program to young women. My acquaintance said that one night at her host family's home, a neighbor stopped by to introduce his eligible-bachelor son. Unfortunately for him, no nuptials ensued. By the way, my acquaintance is 32 years old, but as far as the people of Gokase know, she's 28. DailySudoku.com (my favorite sudoku site) has released a new twist on sudoku called Nurikabe. Nurikabe (the name means "drawing wall") is like a cross between Sudoku and Minesweeper, in that numbers in squares indicate the number of squares around it that should be filled in. Detailed instructions are available here. Decked out in classy kimonos, four Japanese exchange students showed high-school kids in Salem, Washington, how to conduct a traditional tea ceremony. It wouldn't be a tea ceremony without real silk kimonos. Japan's crown prince tells his public that his wife, Masako, who withdrew from public life over 4 years ago, needs a little more time before she can return to her official duties. The royal family in happier times. Depicted in films such as The Last Samurai, Japan's Boshin War was the ultimately losing struggle of the samurai to stop pro-modernization forces with a gun-and-cannon-bearing army from wresting control of the county. In this struggle, samurai families in the Aizu region mobilized bands of women warriors known as the Joushitai, or Women's Brigade. She's not here to make tea. Earlier this week, I wrote that green tea is now the beverage of choice in the New York Yankees' clubhouse. The article to which I linked referenced a study about the performance-enhancing effects—make that the legal performance-enhance effects—of green tea. A detailed summary of the findings is available in the online version of the journal, the American Journal of Physiology-Regulatory, Integrative and Comparative Physiology. The study found that over 10 weeks, endurance exercise performance was boosted up to 24% with 0.5% green tea extract (GTE) supplementation, and 8% with 0.2% by-weight addition to food. These results came from the equivalent of about 4 cups of tea a day. In other words, if you drank 4 cups of brewed green tea each day—which is not excessive by any means—you would be getting the same amount of green tea compounds that the subjects in the study ingested. 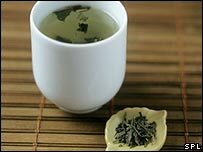 Taking epigallocatechin gallate (EGCG) along did not have the same endurance-boosting effects as green tea extract. In other words, EGCG alone does not explain the benefits detected. And here's more food for thought: Although the study found that green tea extract had an endurance-boosting effect, extracts do not contain all of the natural compounds found in green tea. So, by taking an extract instead of brewed green tea, you're probably missing out on other benefits. And pills cannot give you an important part of the green tea experience—the calming, relaxing effect that comes from the act of brewing, and from kicking up your feet and enjoying the earthy flavor and soothing aroma of great green tea. A new Japanese film, Bubble Fiction, takes a satiric look at the country's "inflated assets" bubble period of the 1980s and early 1990s. Back then, the country was flush with cash thanks to massive trade surpluses. 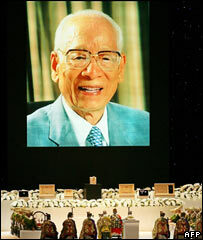 Too much of that money, however, was invested in real estate, driving prices far beyond what was sustainable. At first, no one minded: property owners saw their net worth double, triple, quadruple—and still keep on rising. Individual and corporate land owners borrowed heavily against this upwardly reassessed real estate, and the banks were only too happy to loan them the money. At the height of this bubble, it was said that in places like Tokyo's Shinjuku district, a ten-thousand-yen note (worth more than $100 back then) could not be folded small enough to buy the tiny square of land it could cover. 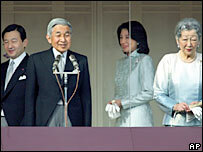 By the late 1980s, the party was in full swing but came to a crashing end around 1990; Japan is still recovering today. Bubble Fiction is about a woman who, deep in debt in 2007, agrees to travel back in time to try and stop the "bad political decisions" that caused the bubble to burst with such ferocity. For many Japanese, the film will undoubtedly be a nostalgic look back at a not-too-distant past when everyone thought the good times would never end. But all things, grasshopper, must come to an end eventually—both the good and the bad. Back then, businesses had plenty of cash for after-work socializing.